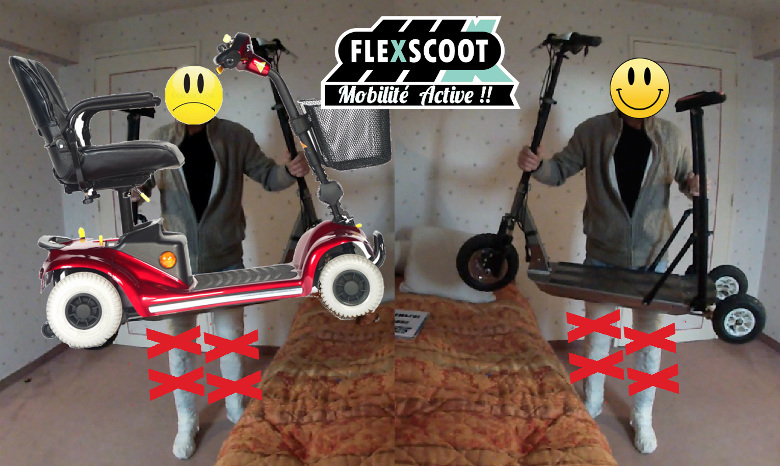 Beyond FlexScoot and its technology, here are some thoughts about you, the user, and your ability to use it with happiness in everyday life. Reminder: safety, safety and more safety. Unlike cars , "small" electric vehicles have no body nor protection and have to be particularly stable , safe, healthy , to prevent slippage , tipping , upset, ... in all circumstances. To summarize , there are two ways to approach the problems of mobility : One can assume that the user is THE problem and consider him as a dead weight . 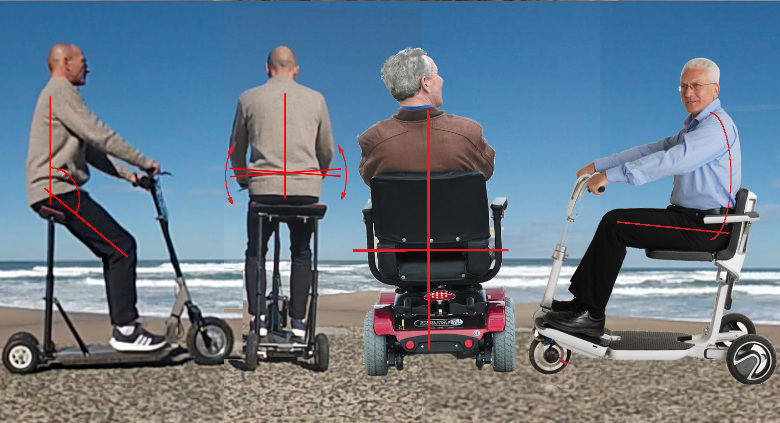 In this case, the solution is simple , a chair with 4 wheels underneath, but it is wide , heavy, slow, etc ... in short, a senior scooter! Otherwise , one can imagine that the user is involved in the solution thanks to his abilities. This is the idea of Flexible Mobility that we tried to summarize below. More seriously, this is based on the ergonomics of the "semi-standing position." In this position ( below) , proprioceptive reflexes of the pelvis (which allow us to stay in standing position) remain active and naturally maintain the balance .